Want to keep your family and property secured but also remain discreet? 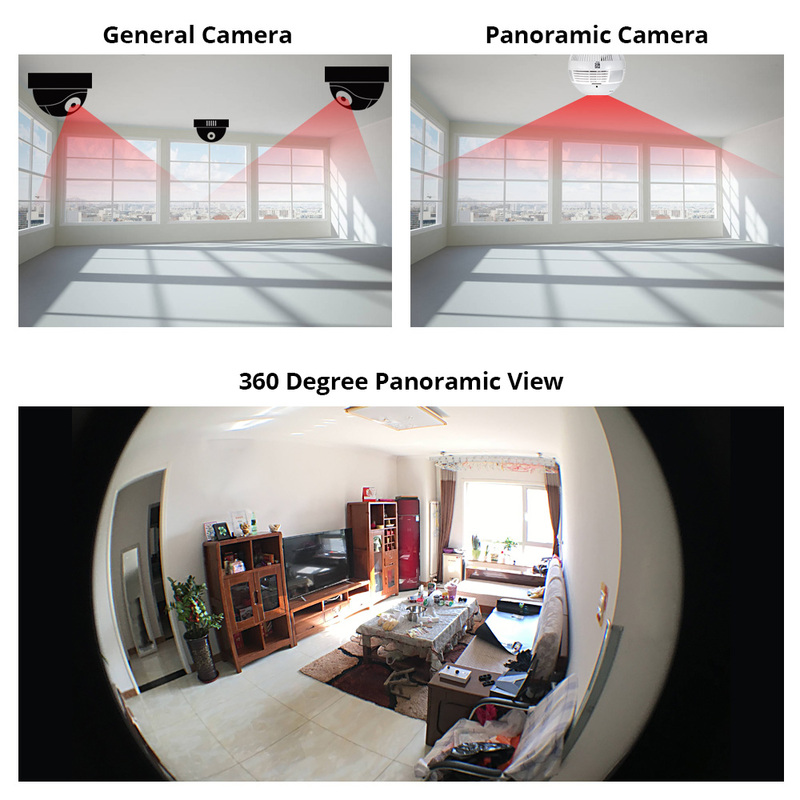 You can now keep an eye over everything and everyone in your house even when you’re not physically around! 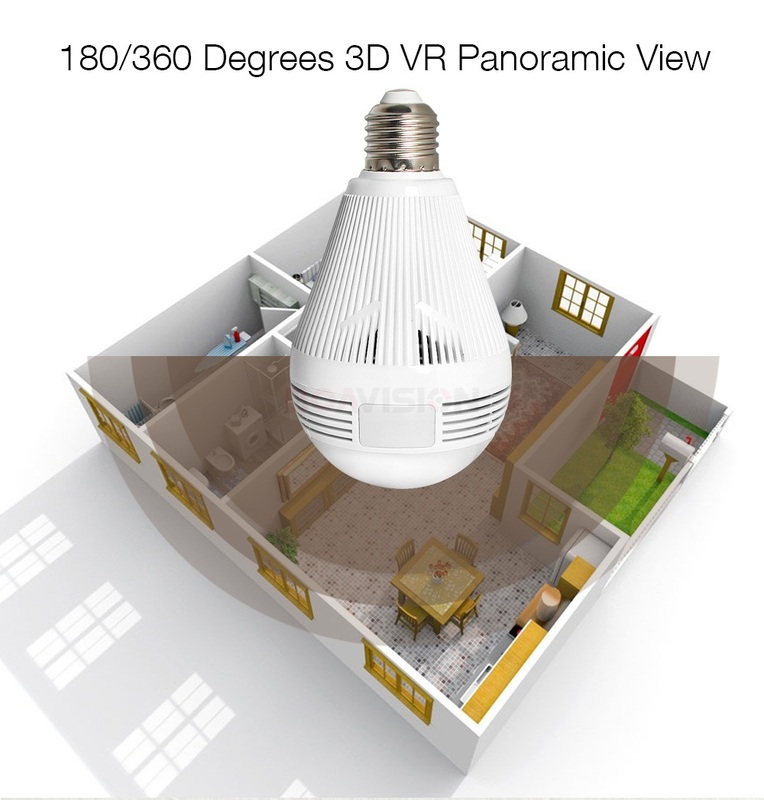 That's made possible with our Wireless 360 Degree LED Security Bulb. 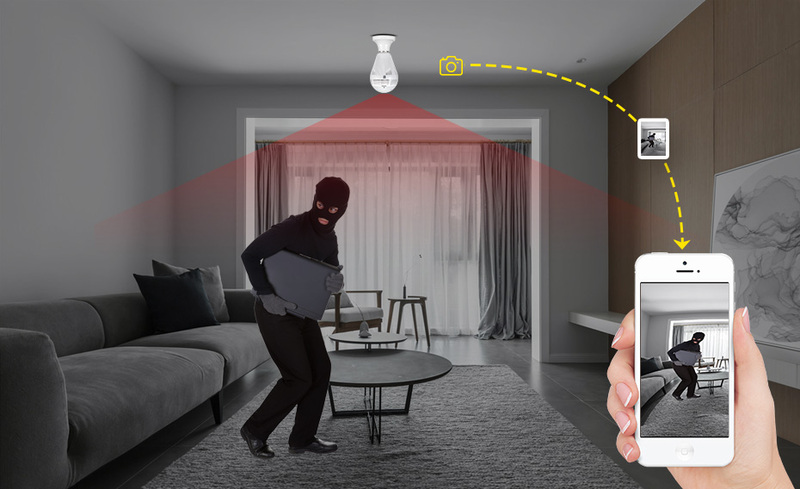 It's a clever home security camera that's disguised as ordinary (working) light bulb. 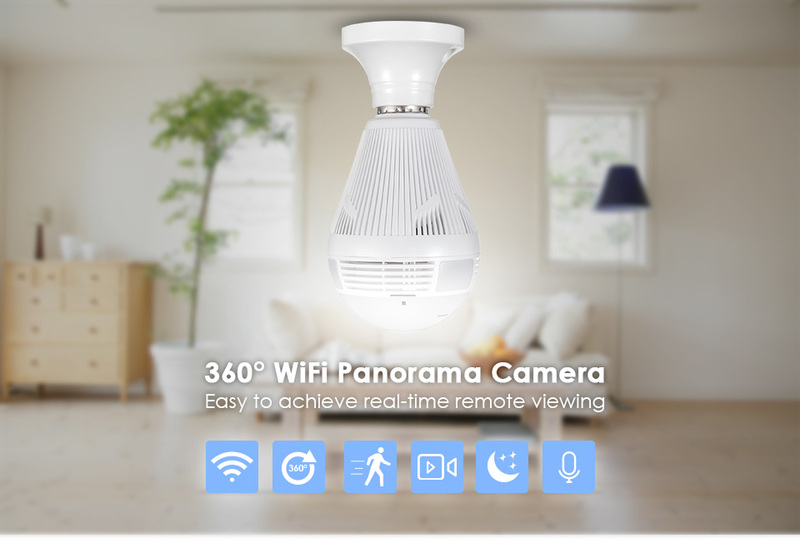 The Wireless 360 Degree LED Security Bulb offers 360° HD quality footage that is transmitted LIVE to your phone via WIFI. 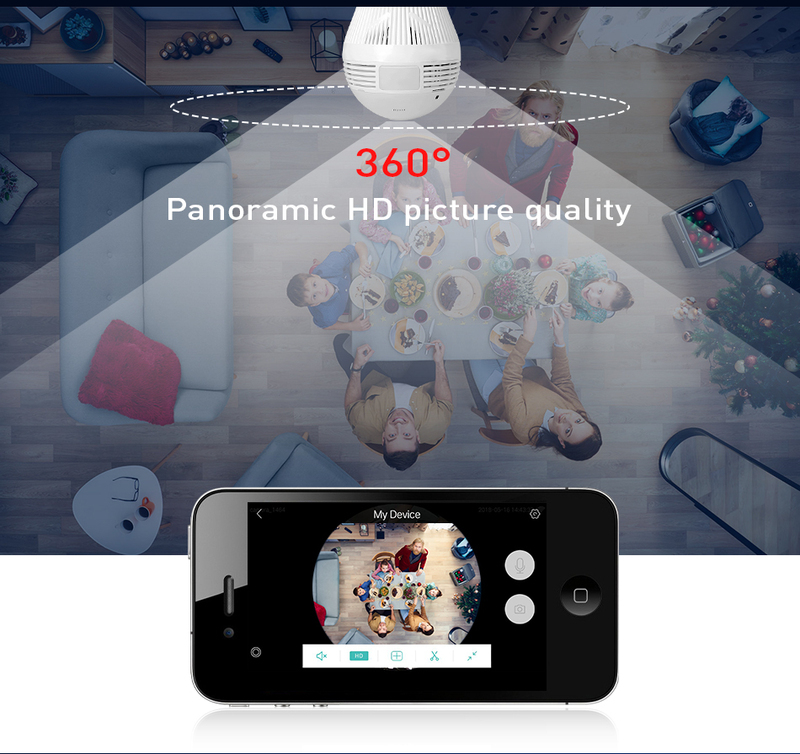 It utilizes night vision technology, so it will be able to capture crystal clear footage even in the dark. 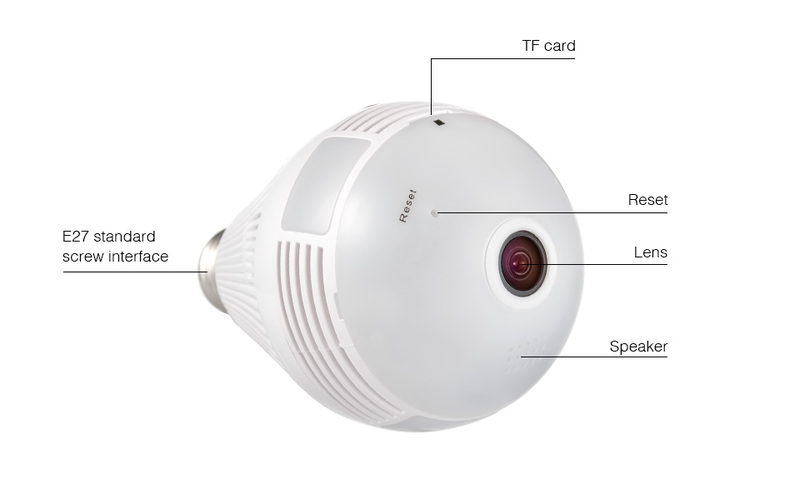 The Wireless 360 Degree LED Security Bulb also contains an embedded speaker and mic. 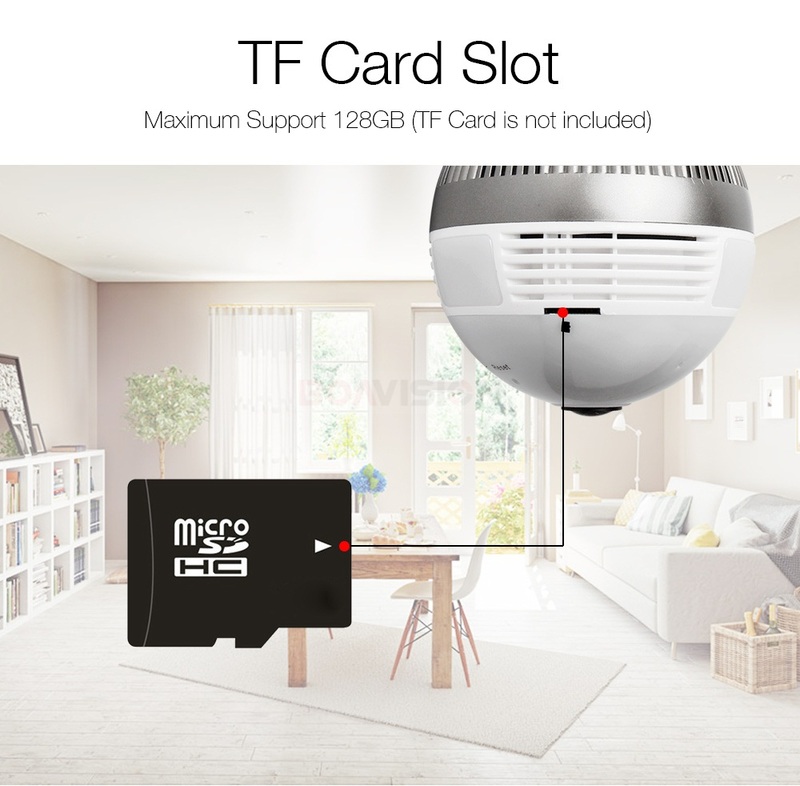 That means you can use it to transmit audio into the room like an intercom. 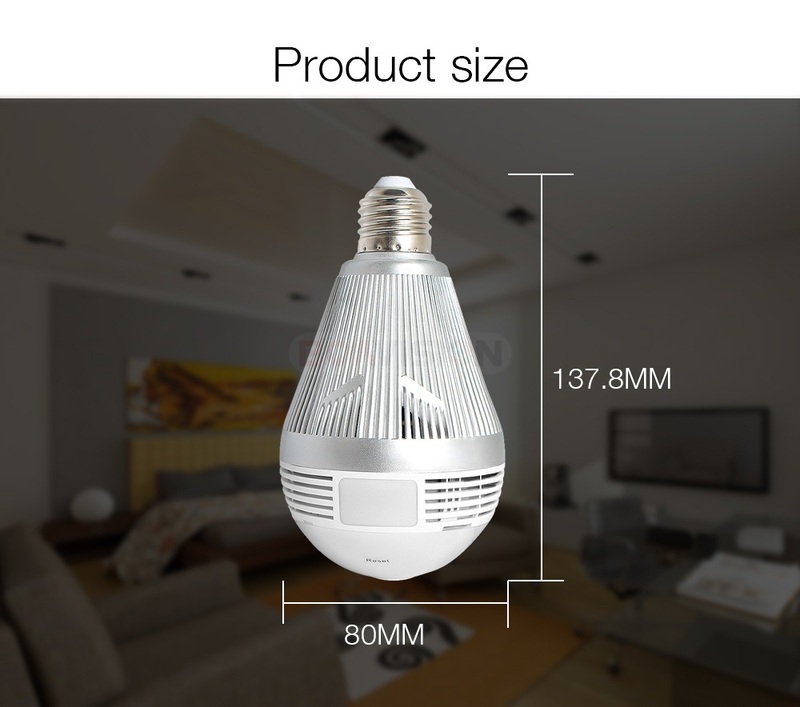 The Wireless 360 Degree LED Security Bulb has four light settings that you can control using your phone, along with a slot for a microSD memory card, motion detection and audio recording.